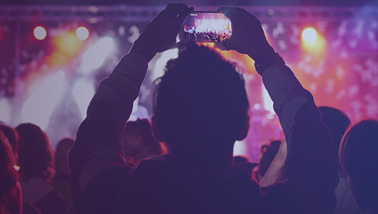 On this week’s Tech Thursday blog, I will take you on a “behind the scenes” journey to show where the magic of Ustream happens. 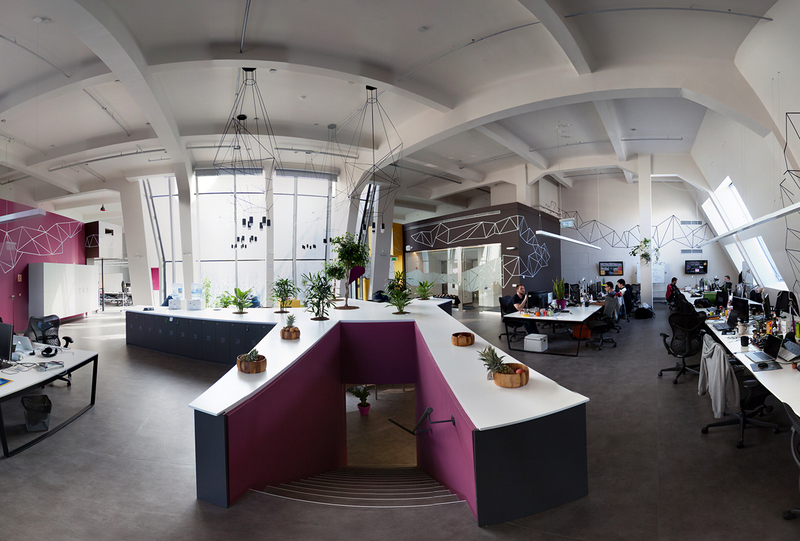 Ustream Hungary moved to an incredible, new office in the heart of Budapest and will now show it to the public for the first time. 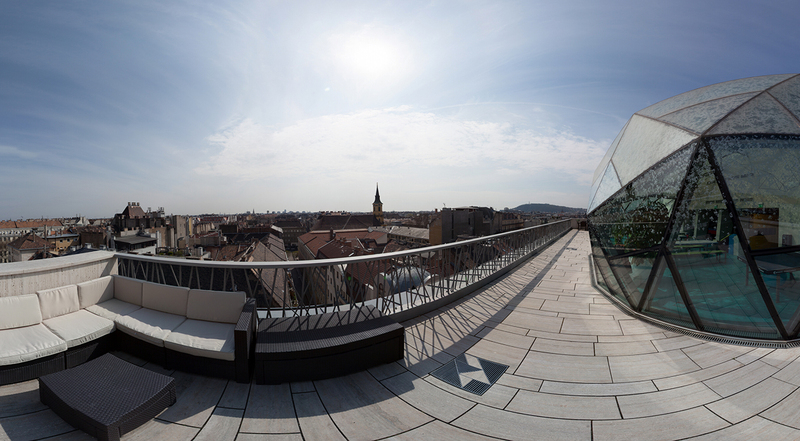 Take a tour in Ustream’s New Hungarian office and see where we work hard, dream big, and make Ustream happen! Ustream has five main offices around the globe in magnificent cities like: San Francisco, Tokyo, Los Angeles and Seoul. But surprisingly the biggest of all, with 110 employees, is in Budapest, Hungary. The office is located downtown, in a sparkling area of the city, which is part of the UNESCO World Heritage. As you step out of the office you’re directly in the source of the city’s vitality – close to bars, restaurants, theaters, and main attractions. The home of the new office is a historical and architectural gem, the Paris Department Store (commonly known as Fashion Hall). The building was opened in 1911 as Hungary’s first modern department store. Thanks to its stunning architecture – an open plan atrium, high glass vaulted ceilings, and a glass-mirrored elevator – it quickly became the jewel of Budapest’s most attractive avenue. 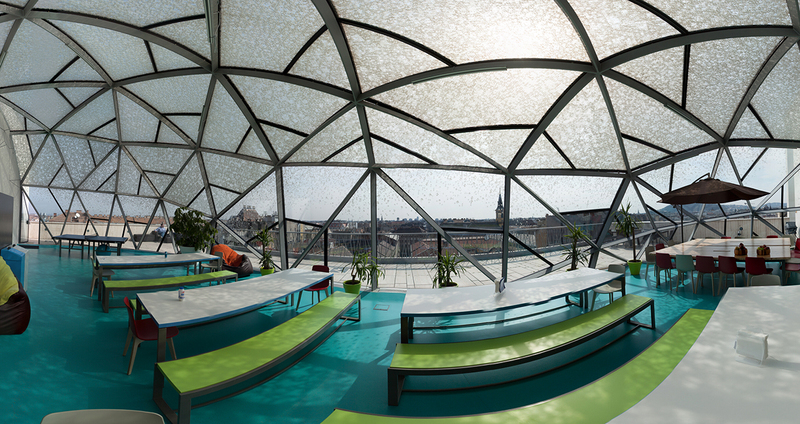 Ustream’s new office has 19,000 square feet of rental space, which includes the two top floors, and a special architectural Crystal Dome with a free-to-access roof top terrace. The interior design of the office was made by the MádiLáncos Studio, which previously won the “Best office design” award in Hungary. After prior consultation it took almost ten months to plan and design the new office. They strived to adapt to Ustream’s needs, to implement an office interior that retains the values of the building, while creating a 21st century, creative, comfortable and inspiring work environment for the company’s employees. The office has an open space environment to encourage collaboration, while lots of colorful “break-out spaces” and “brainstorming pods” allow workers to concentrate when it is necessary. Next to the free (Ustream labeled) beer and Túró Rudi machine (famous hungarian candy) there’s a foosball and table tennis offering leisure activities on site, so that employees can stay creative and feel at home. The head of Ustream Hungary is Dr. Gyula Fehér, founder and Chief Technology Officer. 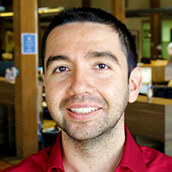 He oversees the research, development, and operation of Ustream’s core system. As CTO, Gyula’s primary focus is setting the product and technology strategy, as well as managing the wide spectrum of overseas development efforts of the Ustream engineering team as they continue to drive the company’s vision through innovation.